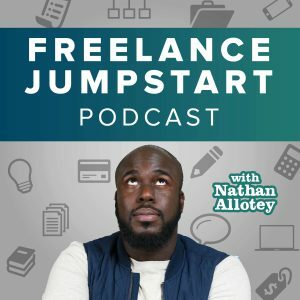 Why is it that some Freelancers get to work with clients who are willing to pay them five figures for their work and other freelancers get paid $300 or so for the same type of work. Running your own business as a creative entrepreneur is not the same as working for an employer at a company. When you are an employee, the thought is if you work hard someone will recognize your work and give you a raise. However, when you’re working for yourself, you have to be the person to give yourself a raise. You are valuable if you don’t give yourself a raise no one else will. In talking with many other creative entrepreneurs, I have found that we all at times we grossly undervalue and underestimate the amount of value we create for others. This is due to our lack of confidence because we think the work we’re doing is not challenging. We’re so submerged in our business that the difficult seems normal and in our creative world we know many others who do the same type of work so we don’t think it’s as valuable as it could be. The great news is today you can learn to value your skills, and you can learn to give yourself a raise. This is not about making the most amount of money you can. However, you do need a reward for the amount of value you create. I was invited to speak at WordCamp NOLA in New Orleans, LA. Wordcamps are informal, community-organized events that are put together by WordPress users. Everyone from casual users to core developers participate, share ideas and get to know each other. In my top below I cover my pricing Journey as well as pricing strategies that you can use in your business today and the logic behind how each of those pricing strategies works. In my talk, I first cover my previous mentality and approach to pricing and a discovery I made on how much my work was worth. In the second part of my talk, I cover the different segments of the market and how you need to position yourself to reach the market you want to reach based upon the pricing strategies you choose. Use options in proposals involving price. To summarize everything that I just mentioned before this point I would have this one comment. As a creative position yourself as an investment, not an expense. Investments normally have a return and get better over time. Yes, there is a risk when you make an investment, however, start teaching clients to invest in the betterment of their business and not view you as a cost that does not benefit them at all. © 2009 - 2017 Nathan Allotey & inPhocus Media. All Rights Reserved.